With more than 15,000 Alumni worldwide, Aalto University Executive Education provides a valuable network for you to connect with your fellow Alumni. Together with Aalto University we build a global community for our Alumni to develop and share. Our mission is to offer our Alumni an access to the latest knowledge and an extensive global network. 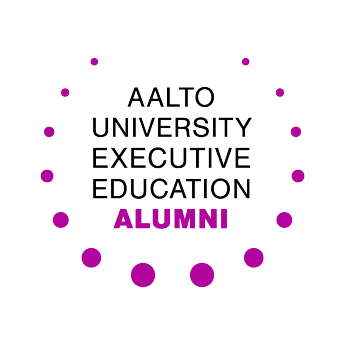 Together with our Alumni and Aalto University we build lifelong networks and partnerships by providing developing opportunities enhancing our Alumni’s personal brand, quality services and benefits. Aalto EE Alumni is a community whose members always see Aalto EE as the first choice. Aalto EE Alumni are all graduates from Aalto MBA, Aalto EMBA and Aalto DBA programs, and participants of open enrollment and customized programs with a duration more than six months. We offer our Alumni an exceptional opportunity to network with executives and seasoned professionals around the world. We encourage you stay in touch with us by attending events, study tours, program modules, and lectures. Do you want to know more about Aalto EE Alumni? Our Alumni share their thoughts about their learning journey and career here. After graduating, remember to add your education to your LinkedIn profile. Select Aalto University Executive Education as your school and fill in the program details to enhance your professional profile. For EMBA graduates, the official name of the program is Aalto Executive MBA, or the short form Aalto EMBA.